Bunions are simply of bone lumps forming on the side of your feet causing the big toe to lean inwards towards the other toes. With time, the base of the big toe develops a hump pushing against the first metatarsal bone directly behind the toe. Bunions usually form at the joint where the toe bends while walking. As a result, when the bunion develops over time, your entire body weight gets supported by this part whenever you are taking a walk. What causes Bunions on your Feet? Though many people ignore this foot problem, in severe cases, it may cause difficulties when walking. So what exactly causes bunions? According to epidemiology studies, bunions are reported to be highly prevalent as one grows older and mostly in females than in males. 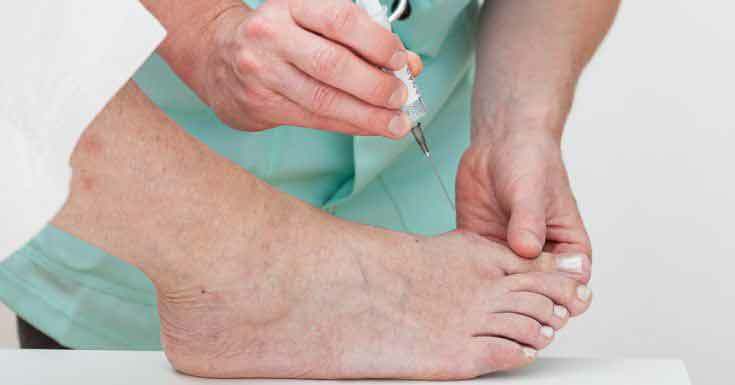 There is also a direct link between bunions and arthritis which is why you may be required to have a blood test if your doctor suspects a type of arthritis to be the major cause of pain on your toe. Wearing of narrowed footwear, especially heels, has been proven to be a major cause of bunions on your big toes. Surprisingly, no matter the pain and discomfort experienced by many people because of the bunions, a majority of them are reluctant to see a doctor. Once you have the X-ray or blood test to determine the real cause of the bunions, your doctor will be able to guide you accordingly on the available treatment options available for you. The doctor may recommend orthopedic shoes, surgery or custom made inserts among other treatment options. Finding out if you are having bunions is just simple; have a closer look at your feet, mainly the base of your big toe. In case you realize a bony bump and your toe pointing towards the other toes, then you may be having a bunion. The bump may sometimes come with a painful experience, appear to be swollen and reddish as well as tender to touch. Over time, it turns out to be shiny and warm to touch. Some people having bunions ignore the condition thus not seeking necessary medical intervention. You are actually needed to visit your podiatrist immediately you start experiencing pain while walking on flat shoes that should otherwise feel comfortable for diagnosis. The very first step in determining the right treatment for bunions is to find out the root cause of the condition. That means; your foot specialist will only recommend a specific type of treatment based on the cause of the condition. 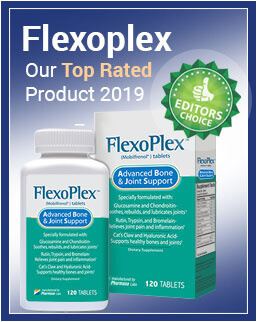 Depending on the severity of the condition, your doctor may recommend or prescribe over-the-counter medicationsfor pain relief and prevention of swelling. At home, you may also try a warm foot bathor use of a heating pad to try to ease the pain. Ice packs are also commonly used to relieve the discomfort. Ensure you always rightwear fitting shoes. As earlier mentioned, the type of footwear you choose may ultimately affect your foot-bone structure. This is mainly the reason why more women are experiencing bunions than men. If you manage to identify a bunion in time before it gets to worse stages, a change of footwear would be all you need to have everything taken care of. Use of bunion pads and splintsamong other shoe inserts are also recommended provided they do not impart more pressure on other parts of your feet aggravating the problem. Depending with the severity of the bunions, your foot specialist may also recommend and prescribe specially designed uppers and insolesthat will lessen the pressure on the affected areas especially the joints and eventually helping the feet to regain their right shape. Surgery – In very severe cases of bunions, the most effective remedy is surgery. In fact, if the bunions are only affecting the way your toes look like and not causing any pain or discomfort, you do not need to undergo surgery. It is advisable that you visit a foot specialist for examination and recommendation for the right treatment. The surgical removal of bunions is usually referred to as bunionectomy which is mainly done at a surgery center or hospital. In performing the surgery, a local anesthesia will be used to numb the affected area as well as sedation. A general anesthesia may also be applied such that you stay asleep throughout the surgery process. Once the surgery is done, the doctor realigns the bone behind the big toe by cutting the ligaments around the joint. On the other hand, especially in severe cases, some part of the bone will be chopped off, a process referred to osteotomy. During this process, wires or screws may be used to keep the toe bones in line as well as remove the excessive bone. Sometimes the surgery may not correct the problem or even result in overcorrection whereby the big toe now appears pointing outwards. What are the Preventive measures of Bunions? Regularly exercise your feet to help strengthen the toes. Some simple exercises like picking a pencil or pen using your toes may go a long way in ensuring your toes remain strong to development of bunions. Many of us can confess not treating our feet with the respect they deserve. Taking your feet for granted definitely comes with a big price; pain, discomfort and physically misaligned toes. Having explored how bunions occur, how they can affect your normal life and possible treatment options, it is time you started taking care of your feet doing simple exercises like toe flexing, wearing the right footwear and generally taking care of the feet as you grow. Use of massage oils offer therapeutic feeling accelerating blood flow to the areas affected thus providing needed relief and eventually reducing the size of the bunion. Ice therapy is also a good way to help ease the pain as a result of the developing bunions. On the other hand, use of the active ingredient in turmeric, curcumin helps to reduce inflammation and block pain resulting from the bunions. Chamomile as well helps to offer a soothing anti-inflammatory feeling which reduces the pain. Other medications are iodine and aspirin which are known to help preventing inflammation as well as growth of the bunions on your toes. You might check this Topricin Review to get rid of foot pain. Read Next – How Do You Treat Foot Pain?